I’m sorry to hear that this is your view of these cycle paths as, in my opinion, they are precisely the opposite. First, I must say that your description of them as ‘super cycle commuter highways’ is fundamentally mistaken. They are not ‘super highways’ but bog-standard European style high-quality, safe separated cycle paths. Additionally they are not designed for specifically for use by commuters but for cyclists of all ages and genders, from 8-85 years of age. Unfortunately, certain British politicians and the British political/media culture, as you have probably noticed in your job as a political journalist, are addicted to ‘bigging things up’. This has led to them describing the bog standard European style paths as ‘cycle super highways’. I have been campaigning for Britain to install European style bike paths for some 20 years – but for exactly the opposite reason to that which you ascribe to them. 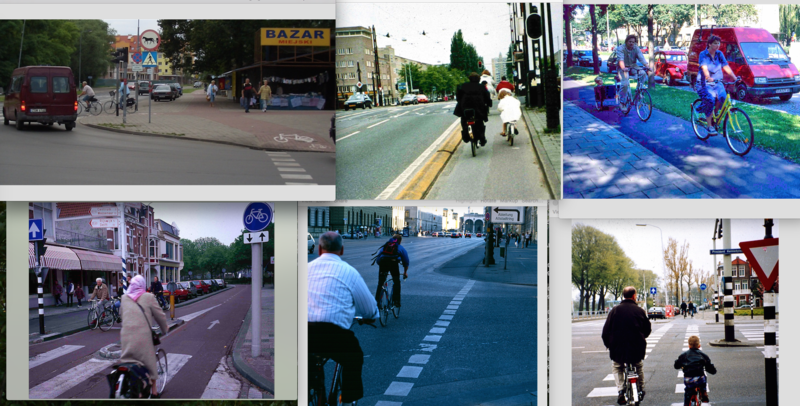 My views were shaped by having lived, in the 1980s, for some years in the Netherlands – the land of the cycle path. The unpleasant experience of cycling mixed with motor traffic, so typical of the UK, was replaced by a much more attractive cycling environment. After returning to Britain I eventually became involved in arguing for the UK to adopt such cycle paths (though never by using the ‘cycle super highway’ label). 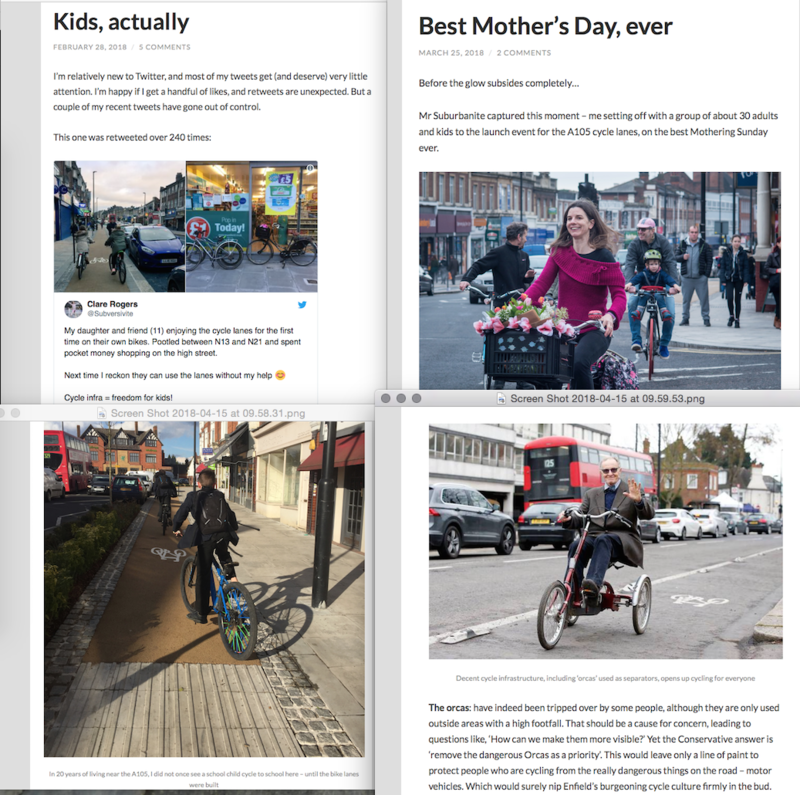 Safe cycle paths, it was clear to me from my contrasting experiences of cycling in London and the Hague, meant more cycling, enabling indeed ’mass cycling’, rather than the elitist pastime it was in the UK, skewed towards ‘YAMs’ (young adult males). 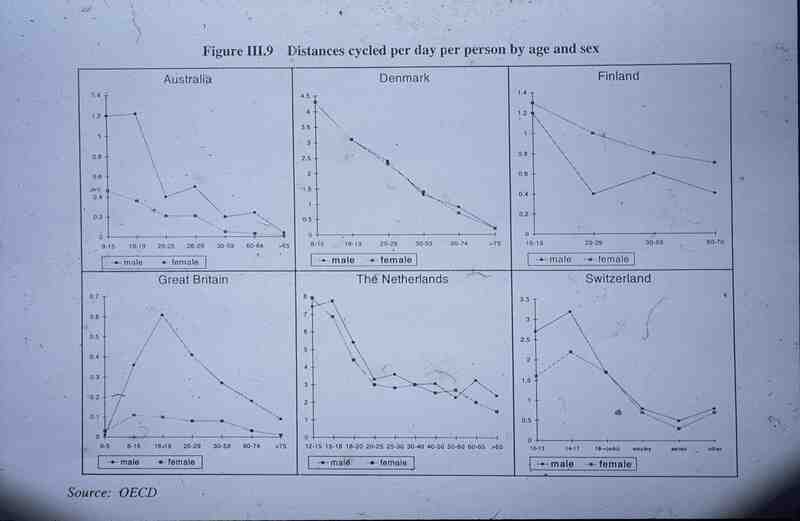 A key revelation came when I chanced upon some OECD stats (as you know, one of the core tasks of the OECD is to publish internationally comparative stats) which showed that not only did safe cycling paths mean may more cyclists, but also different cycling demographic with a balance of the genders and many more older and younger cyclists. These stats dated from the 1980s but similar more recent ones show the same underlining that this is a long-standing structural aspect of cycling. Opposing safe cycle paths, in my opinion, whether intentionally or not, is to back a sexist and an ageist agenda. I’m quite sure that is not what you intend. But it is the effect. Despite this resounding success (even though the cycle paths remain unlinked up and very few in number) has engendered a fierce backlash from the usual suspects (cabbies, Lords & MPs, the right wing press, motoring organisations, and the backward-looking sections of the mainstream political parties – the ‘establishment’ indeed). 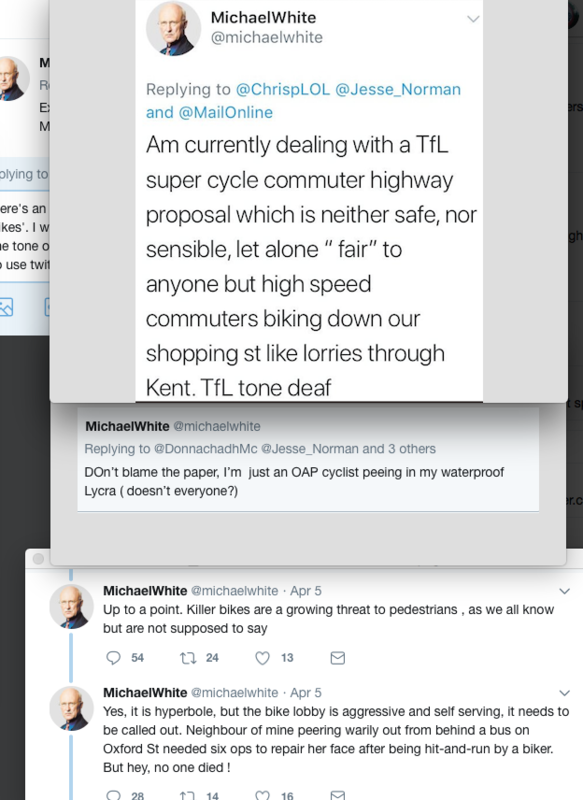 This is why so many cycling campaigners were shocked – and angered – by your inflammatorily worded tweets with their UKIP-style conspiracy overtones (“killer bikes are a growing threat to pedestrians, as we all know but are not allowed to say”… “the bike lobby is aggressive and self-serving”). The anger came because we expected much more intelligent comment from a former Guardian writer. More serious in my view, however, is your misapprehension of the motivations behind the new cycle paths – the assertion that they are for the “non-young/blokes” when the opposite is true. 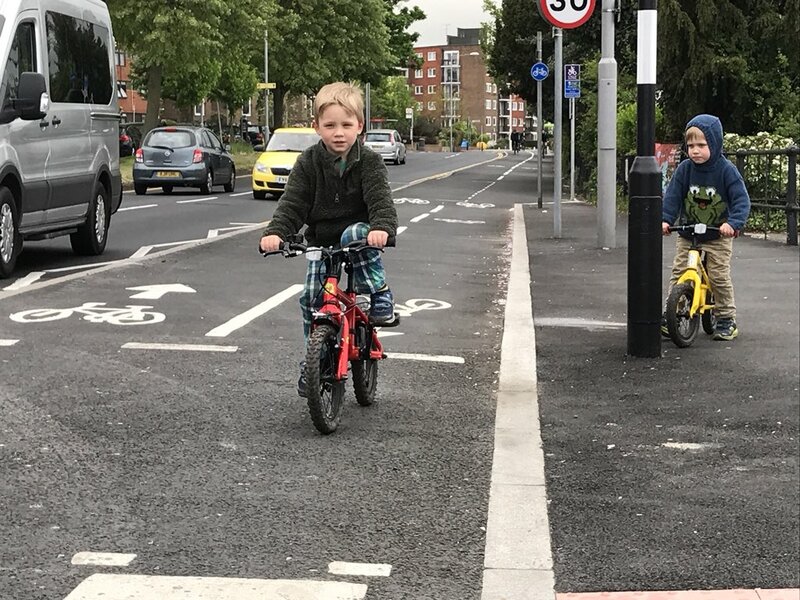 As I’m sure you understand, change will not occur overnight, but it is already clear that the new cycle lanes have vastly increased the number of cyclists now that you don’t have to be a desensitized, risk-tolerant young male to cycle in London. Also, it is wrong to say that pedestrians are frightened by the new cycle lanes. Some may initially find them unusual and thus suspect, but that is largely a reaction to change. With time, pedestrians will find they benefit as much as cyclists from separating different streams of traffic making it safer and easier to cross roads. Compare and contrast the two elderly women in these photos, one from inner city London and the other from inner city Hague. 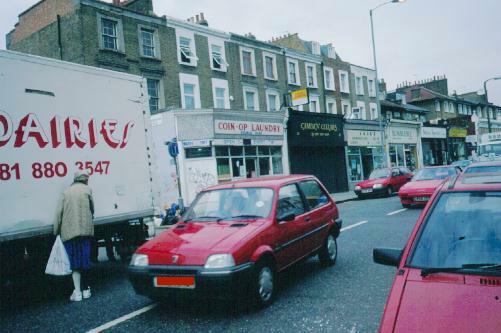 The Londoner is squeezing herself up against a lorry terrified as her attempt failed to cross the road before the motor drivers started to move forward with disregard for her. 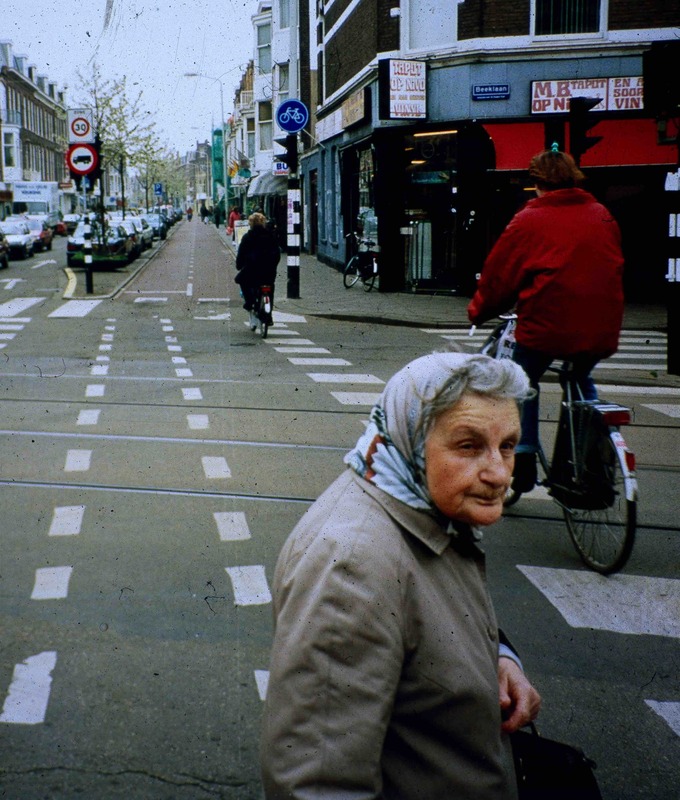 The Hague pedestrian is alert and taking care to cross the cycle path, but she show no signs of fear. She has crossed the motor lanes already and now just waits for the lights to stop the cycle flow and complete a safe crossing. This is what you are opposing on the grounds that it will ‘frighten pedestrians’ while you are silent on the trials and tribulations of British pensioners trapped by uncrossable roads. I do find it frustrating that lots of anti-cycle path campaigners only seem interested in pedestrian safety when it serves as a weapon with which to bash cycle paths, but have happily put up with the dire conditions for pedestrians in our towns and cities, where people are required to run across roads at un-signalled junctions and where the UK has long had a dire safety record for pedestrian casualties. Your tweets, I’m afraid to say, are based on a lack of insight and feed on the irrational opposition that has been engendered towards CS9. I may be old-fashioned in these days of urgent twitter-rage, but I expect better from a respected national newspaper journalist. 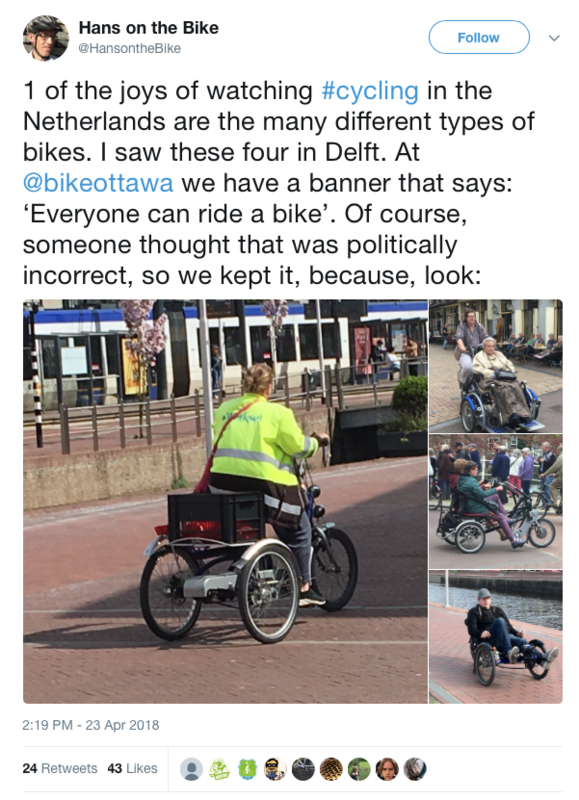 I expect that you would research the subject and find out what actually motivates the campaign for safe cycling facilities – for being a modern European country with proper cycle paths rather than adopting a knee-jerk British exceptionalist approach. My suspicion is that you did not talk to anyone from the “bike lobby” before tweeting. I hope the anger you expressed, and which you received in return, could lead to a more sensible discussion of why and how cycling should be encouraged. Don’t let this be the end of your thinking about what is represented by the new cycle paths – liberation for women, young people, older people and indeed non-macho males to be able to cycle in relative safety – but the beginning.